If you encounter any problems about anything, please email us to allow us an opportunity to correct any problem and we will do our best to assist you solve the issue. 1 pair of gloves for protecting your hands while using the tools. 1.Always remove battery pack form your tool when you are assembling parts,making adjustments,cleaning,or when not being used for an extended time. 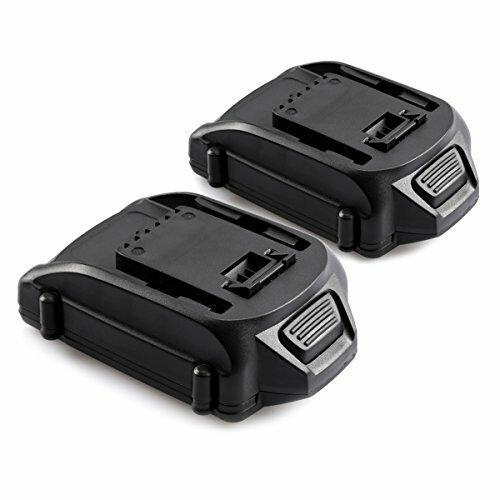 Replace Worx Battery WA3520, Works with chargers WA3847 quick charger and WA3732 charger. 100% QC of this battery and 30 days 100% money back and 1 year warranty.If you have any question,we support 24*7 hours prompt after-sales service.